A once-in-a-lifetime opportunity is presented with The Ocean Apple Estate compound entering the market. This rare gem resides within the North Beach Estate Section at the sought-after address of 610 North Ocean Boulevard in Delray Beach, Florida, and the beautiful and unobstructed beachside is situated directly across from the 100±-foot by 346.54±-foot property. A cornucopia of tropical greenery—massive, mature gumbo-limbo trees; sea grape trees that are over a century old; many different species of palm trees; and oversized rubber trees—encompass this gorgeous estate and provide natural beauty and seclusion. This fabulous home was designed and built in 1930 by the renowned Palm Beach society architect John Volk, whose illustrious career includes having had the families of Vanderbilt, DuPont, Ford, Dodge and Pulitzer as his residential clients. 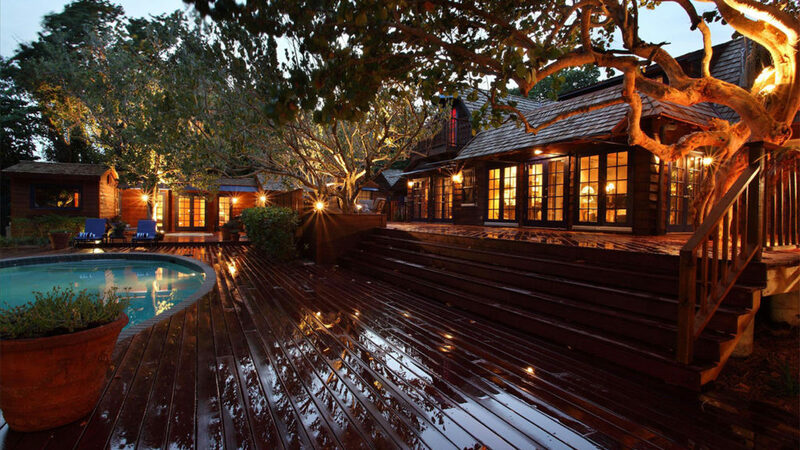 John Volk designed the beautiful Ocean Apple Estate compound for the famous cartoonist Fontaine Fox. Fontaine Fox is known for writing and illustrating the Toonerville Folks comic strip that appeared in over 300 newspaper publications across North America from 1913 to 1955. The Ocean Apple Estate compound was later home to the Mott family, best known for Mott’s Apple Sauce. In addition to being home to very notable residents, this beautiful estate is also listed on the local Historic Register and has been featured in many architectural publications. 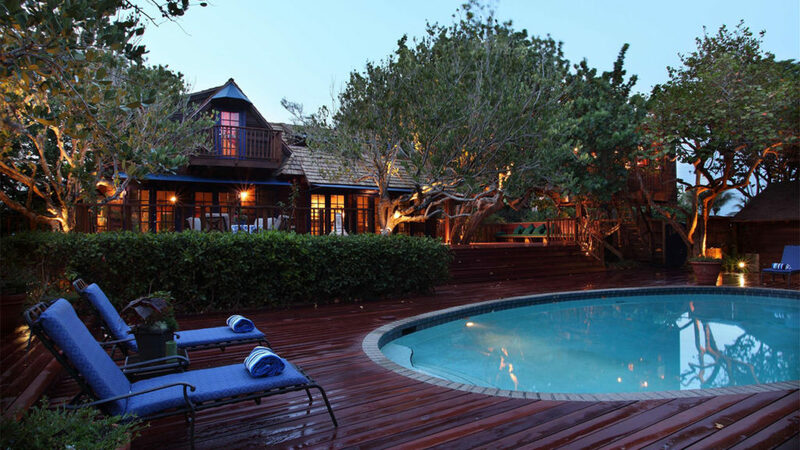 The Ocean Apple Estate compound features a unique design, comprising the main home, a guesthouse and a separate treehouse office. There are six bedrooms, seven-and-a-half baths and a separate two-car garage across a total of 5,490± square feet. The guest house consists of two bedrooms and two baths, while the treehouse office consists of a bedroom loft, full bath and a suspension bridge that connects to the master bedroom. French doors open from the living room to the expansive outdoor living space—the perfect place for relaxation and entertaining guests. 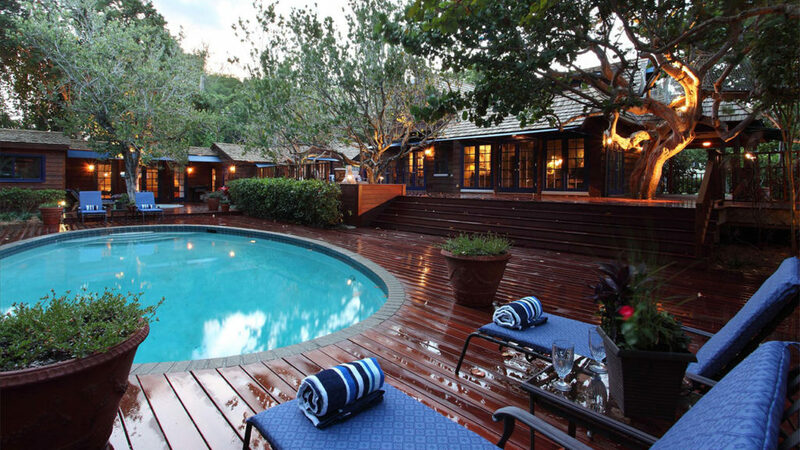 Authentic tropical hardwood decks and terraces surround the swimming pool, and the entire space is secluded by beautiful tropical trees. This beautiful residence is a once-in-a-lifetime offering and won’t stay on the market for long. This fine estate is offered at $6.4 million USD. 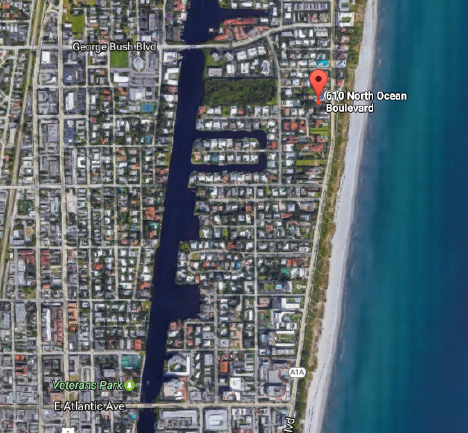 To inquire about the Ocean Apple Estate compound at 610 North Ocean Boulevard, Delray Beach, Florida, please contact Pascal Liguori at (561) 320-3109 or email at pascal@premierestateproperties.com. This entry was posted in Featured on May 19, 2017 by Pascal Liguori. This entry was posted in Featured on August 4, 2016 by Pascal Liguori. George Bush Boulevard, Delray Beach, Florida. 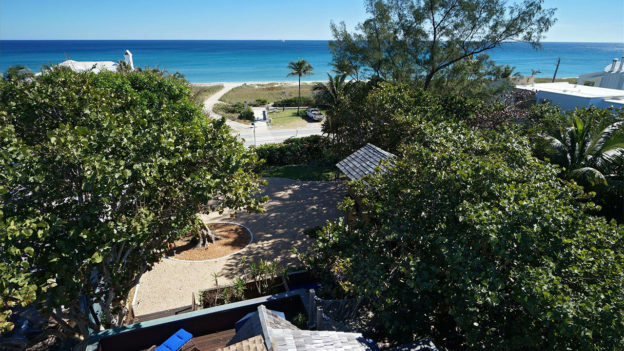 This Key West-style townhome is within a short stroll of the beach and Atlantic Avenue. Nearly 5,000 total square feet with 4 Bedrooms and 3.5 Baths plus an oversized 2-bay Garage. Light-filled French doors are featured along with rich hardwood and marble floors. An elevator conveniently serves all 3 levels. Gas-fired fireplace in the elegant Living Room with richly finished hardwood floors and classic crown moldings. The formal Dining Room adjoins in an open-concept arrangement and is serviced by a Butler’s Pantry. Designed in a spacious open plan with marble floors, the gourmet Kitchen, Breakfast Area, and Family Room proceed through French doors to charming Balconies with spiral stairs to the terrace. Master Bedroom Suite includes a Sitting Area and opens through French doors to a private covered Balcony. Beautiful hardwood floors, His-and-her walk-in closets and a marble spa Bath complete the suite.